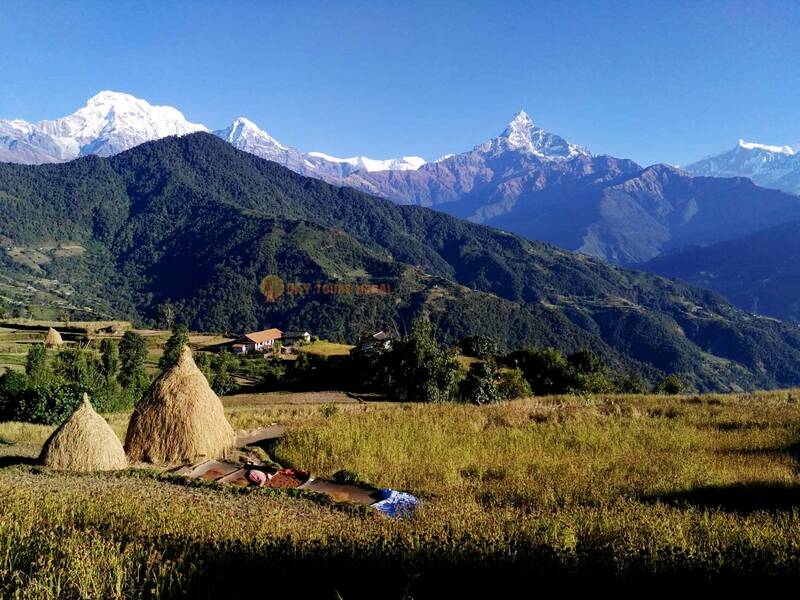 Short Hike Around Pokhara "View From Sarangkot"
Nepal is famous for high mountains adventure trips and Trekking in Nepal is famous adventure holidays activities. 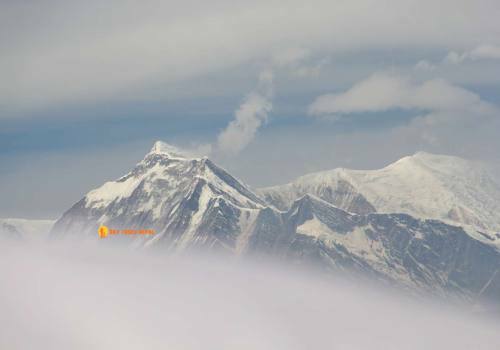 Nepal northern side has world's tallest mountain peaks and most part of Nepal land is embraced with hills. Nepal is known as Mt. Everest and many of people think Nepal doesn't offer short hikes and trips around. 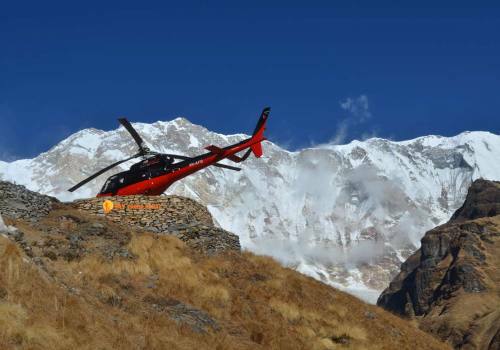 Annapurna region is another world's famous high mountain adventure such as Annapurna Circuit Trek, Annapurna Base Camp and many others trekking trails. 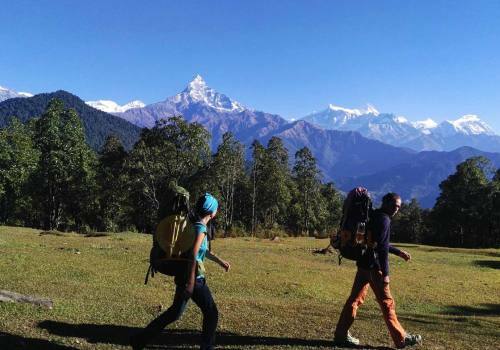 Among many of world's best trekking trails from Pokhara, you can do a short day hiking to short 2- 3 days trekking without giving trouble to your lungs. 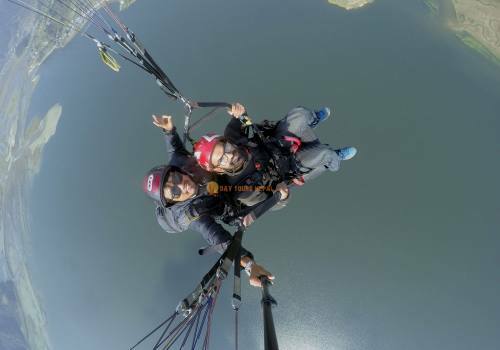 Pokhara is one of the best travel destinations in 2018 for relaxing, adventure sports and the giant Himalayas. Pokhara is one of the largest city in Nepal with beautiful lakes, majestic Himalayas, and greenery hills. People who arrive in Nepal for long holidays they don't miss Pokhara because of its beauty. 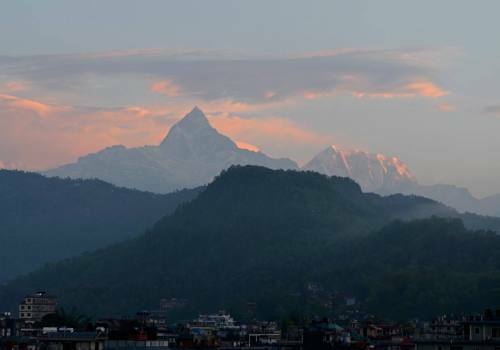 Pokhara is surrounded by the white snow-capped mountains which you can see from your bed too. 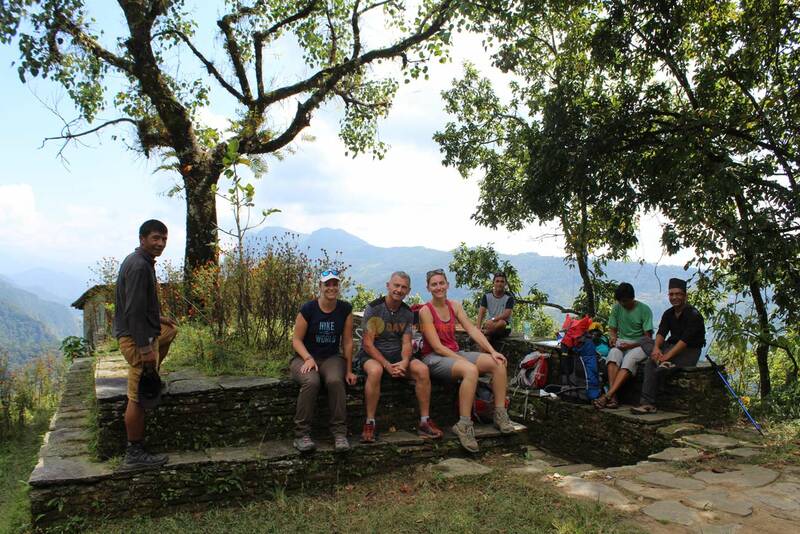 Sunrise, sightseeing, paragliding, day hiking and other adventure sports are popular in Pokhara but if you want to push a bit higher to enjoy than we suggest you this 2 days Dhampus Sarangkot trek from Pokhara. 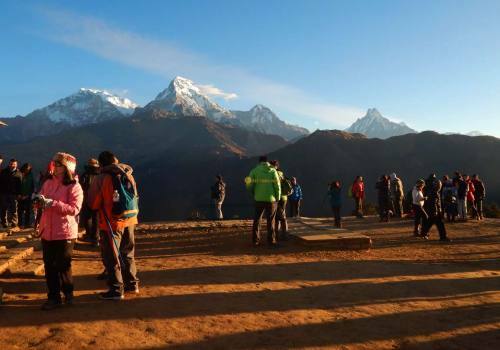 Day Tours Nepal 2 days trekking in Pokhara dhampus trekking package is for those travelers who don't want to go for the big hike and want to enjoy with short and sweet holidays in Nepal. 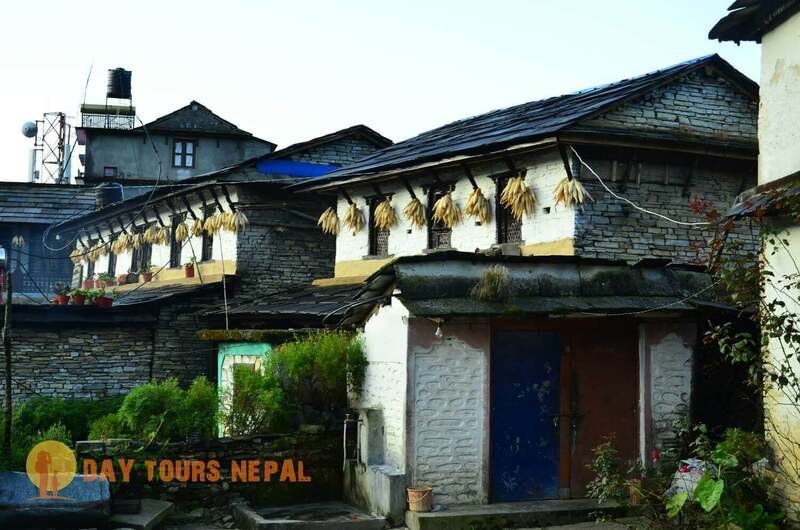 2 days Dhampus Sarangkot trek is the best way to see the majestic Himalayas and also to see the typical village of Dhampus. 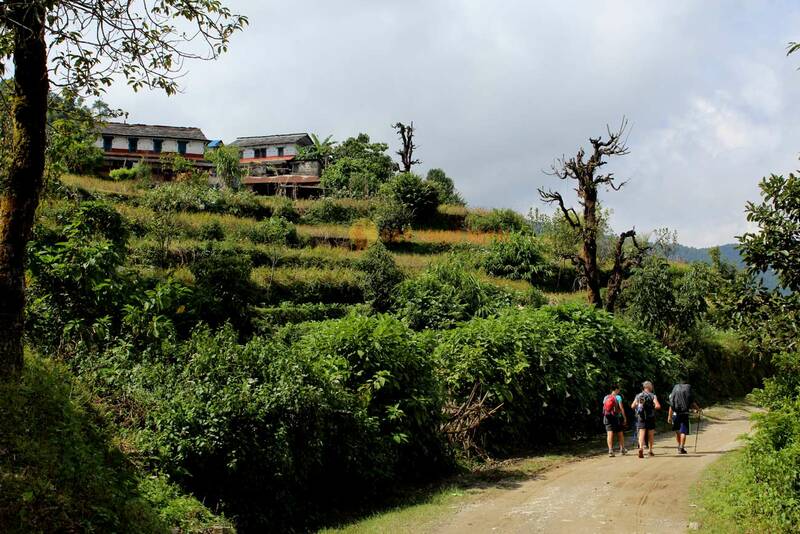 Dhampus village is famous for a short day hiking trip and easily accessible by drive too but if you want to stretch your legs for a while then dhampus is the best hiking trail destination. If you are curious and concerned how about the altitude than don't worry up to dhampus elevation everyone can make it. For views, you will see exactly same views what you are seeing in our banner images. Typical mountain village in Dhampus. 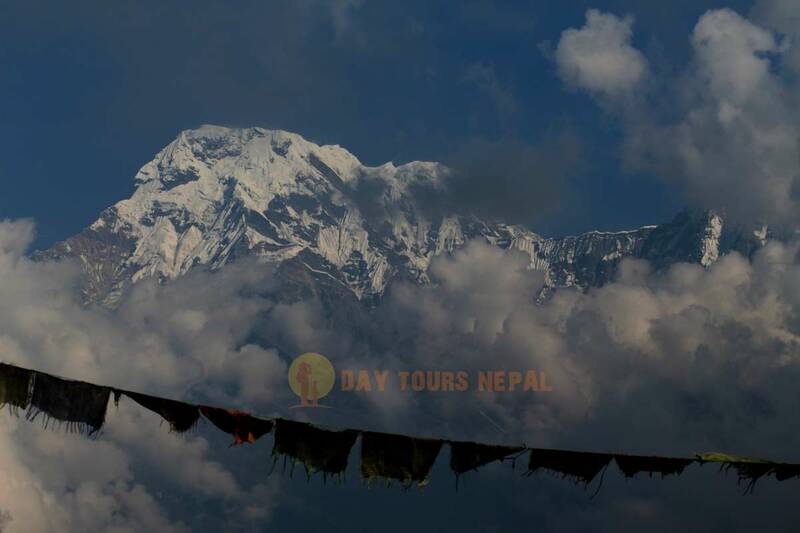 Amazing Annapurna Mountains and Fishtail. Living, Lifestyle, Food, and Culture. Memorable time with our team. Day 01:Pokhara drive to Phedi Trek to Dhampus (1,600m) 5,249ft Distance: 5-6 km (2-3 hours) From Pokhara, we will take a scenic drive towards Phedi and it’s about 30 minutes, from Phedi we will start walking. At the beginning, we have walk uphill and it’s not totally climbing the hill the trails are wide. 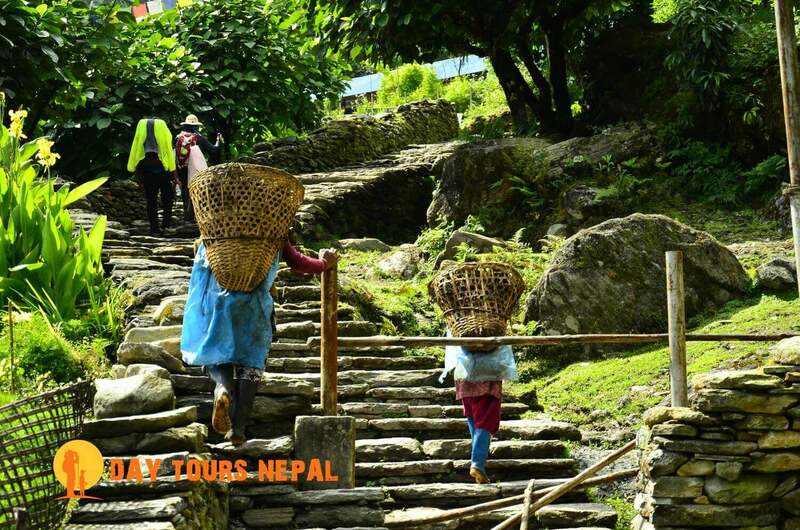 Slowly 1 hr uphill walk will take you in the dhampus village then walking through villages with stunning mountain views. Dhampus village is at 1600m from the sea level and of the paradise in Nepal. In total, we will walk 3 hrs from starting point. 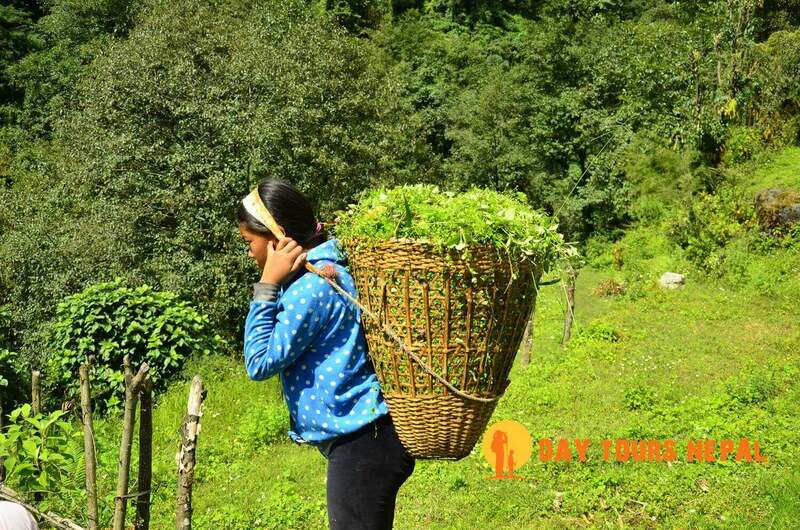 We will spend our night with very charming and friendly Gurung people in nice hotels and homestay. Dhampus village is pretty much famous for yoga trek, if you are wondering for yoga and meditation in a lower part of Himalayas then dhampus is the right place. 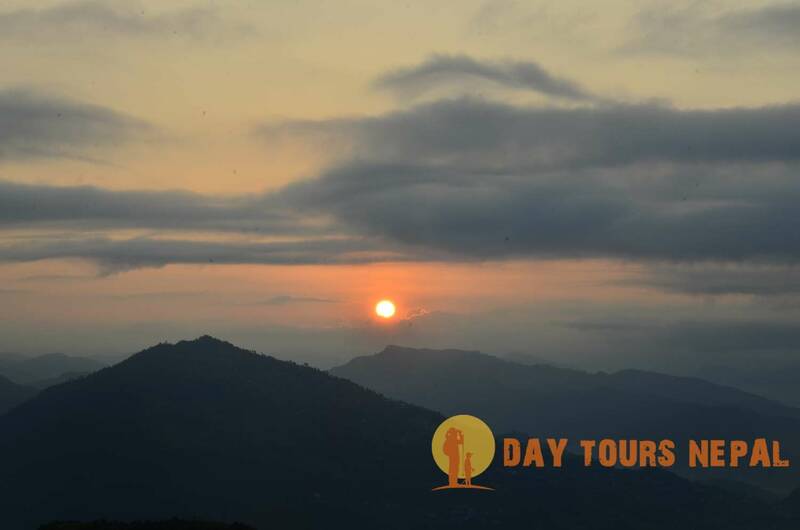 Day 02:Dhampus Trek to Sarangkot (1600m) 5249ft Distance:19-20 km (6-7 hours) Wake up early morning for the beautiful mountain views which change the color after the sunrise. Enjoy the morning breakfast which will be served by our team because they will stay in the same place. Before joining the breakfast pack your bags so it will be easy for our guys. At first, it's pretty much easy and bit downhill but after reaching to Naudanda hiking trail is almost flat. 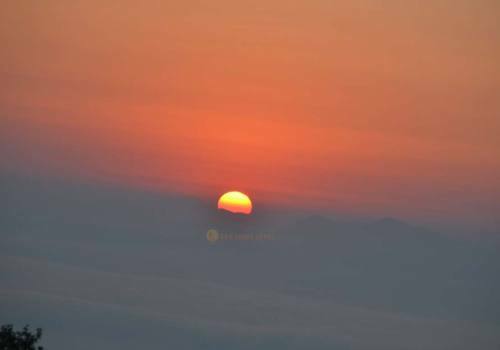 Sarangkot is beautiful and the popular hill station for Annapurna ranges, sunset, and sunrise. Enjoy the peaceful evening in Sarangkot. Day 03:Sarangkot drive to Pokhara. Early morning enjoy your breakfast with the sunrise and the panoramic mountains view. 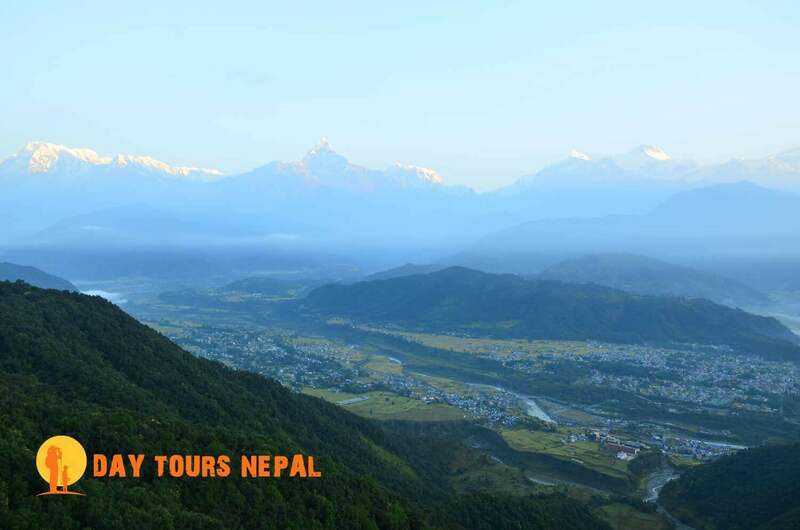 From here you can see Pokhara valley, Fewa lakes, and amazing landscapes. If you love photography than must bring a nice camera. After breakfast and the morning view our guide will drop to your hotel. Enjoy the shopping and peaceful walk around Fewa lake. Annapurna Conservation park, and TIMS card. First Aid Kit for Dhampus Sarangkot Hike. You don't need to arrange proper trekking gears like big hikes. Normal clothing will be fine but in winter must have warm clothes. We serve vegetarian meals to. Don't pat dogs or animals because some might be aggressive. If you want to extend hike email us.